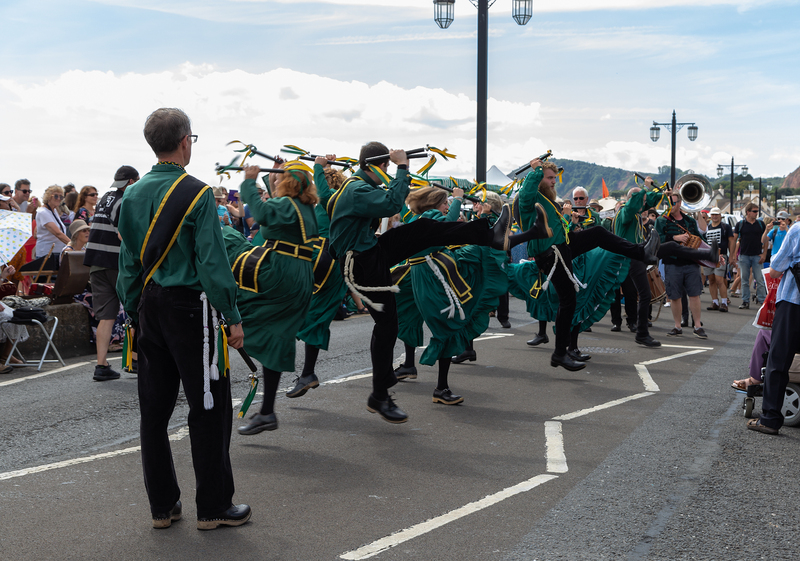 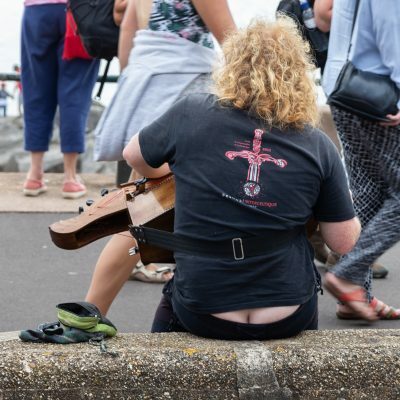 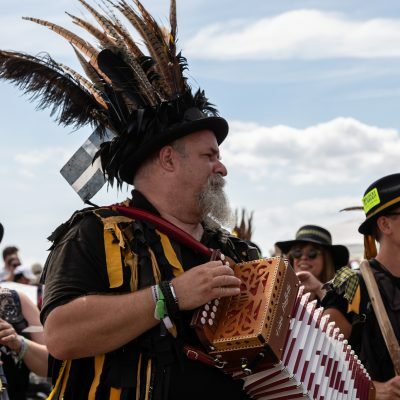 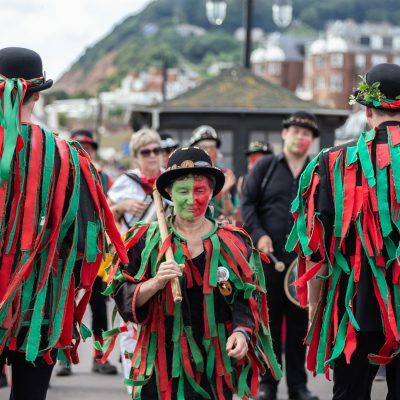 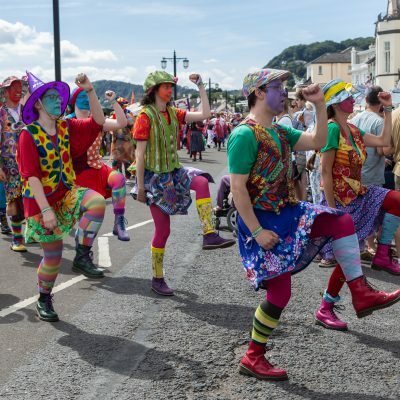 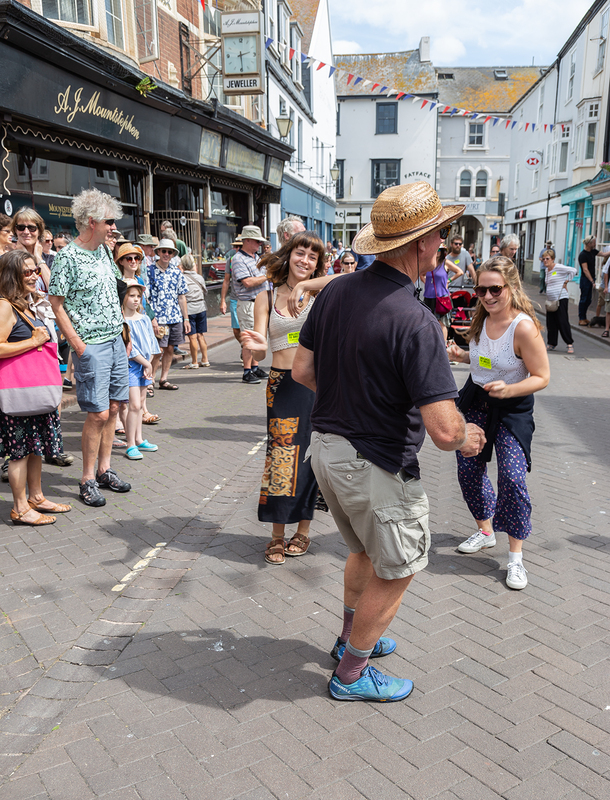 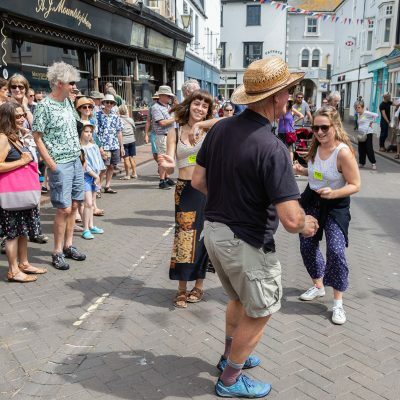 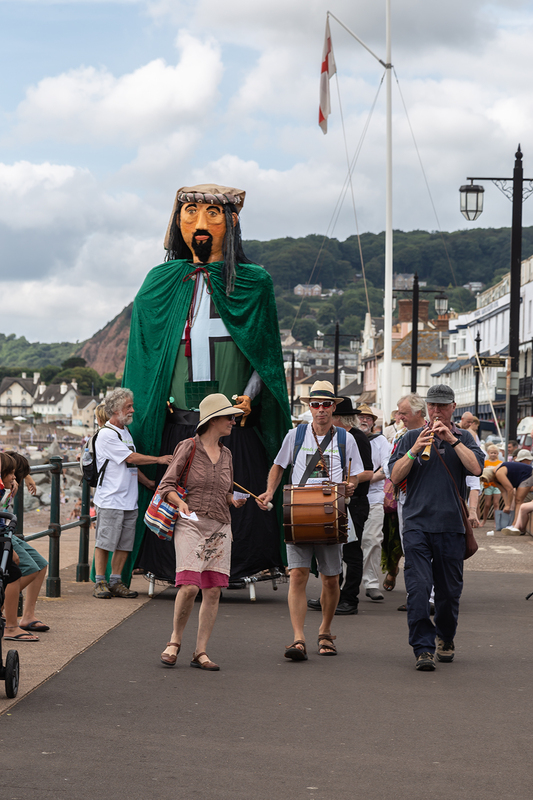 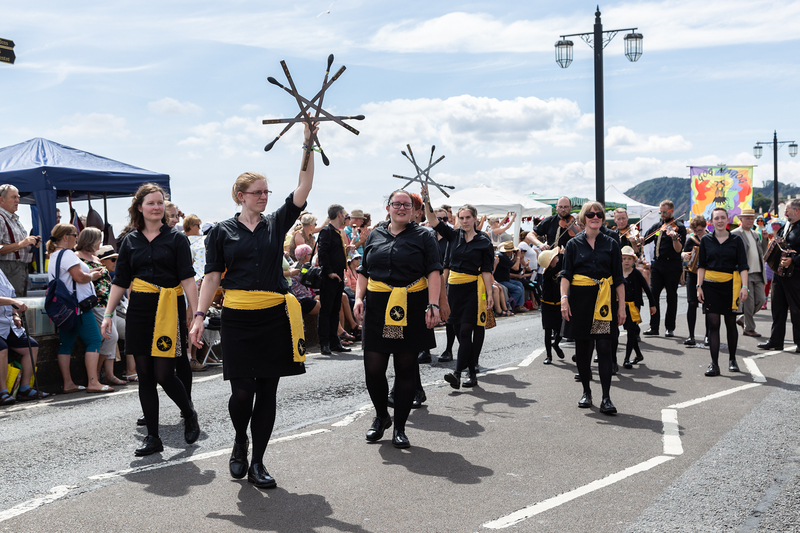 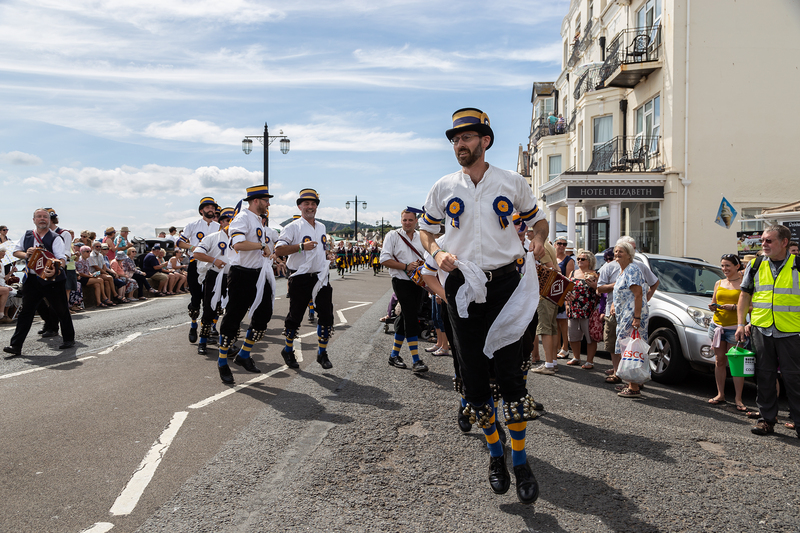 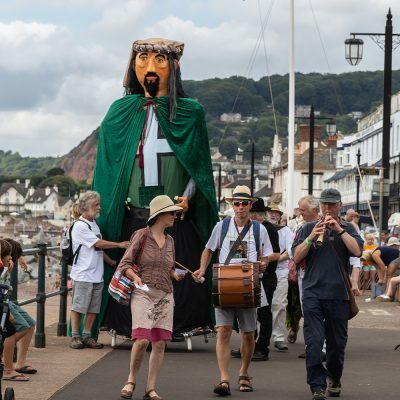 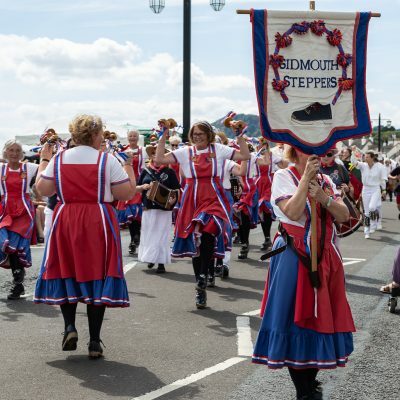 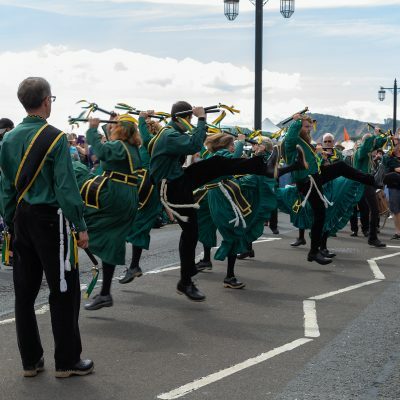 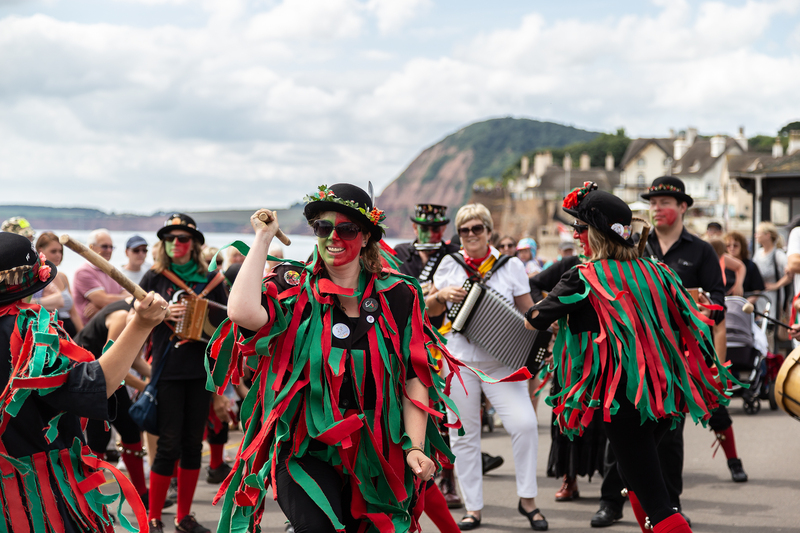 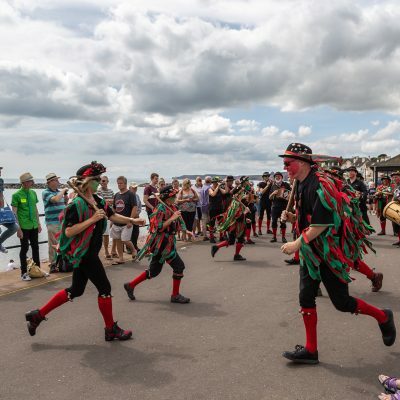 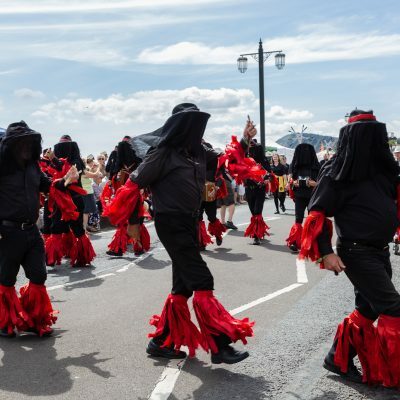 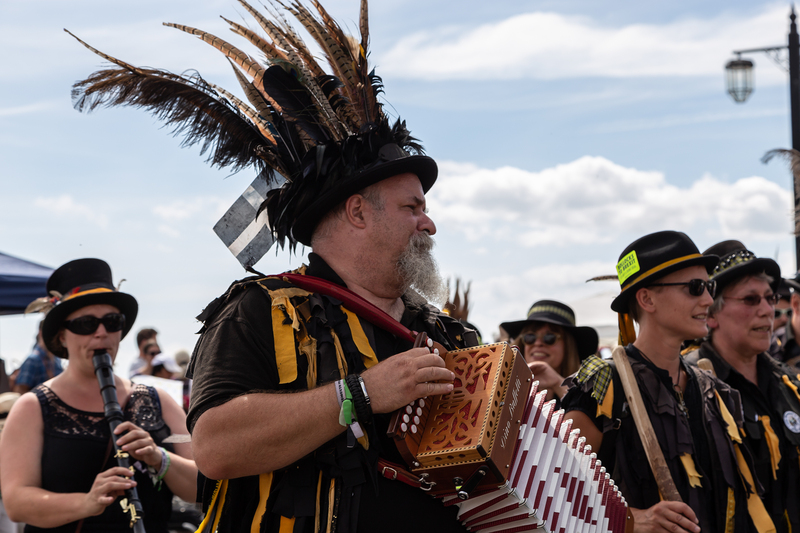 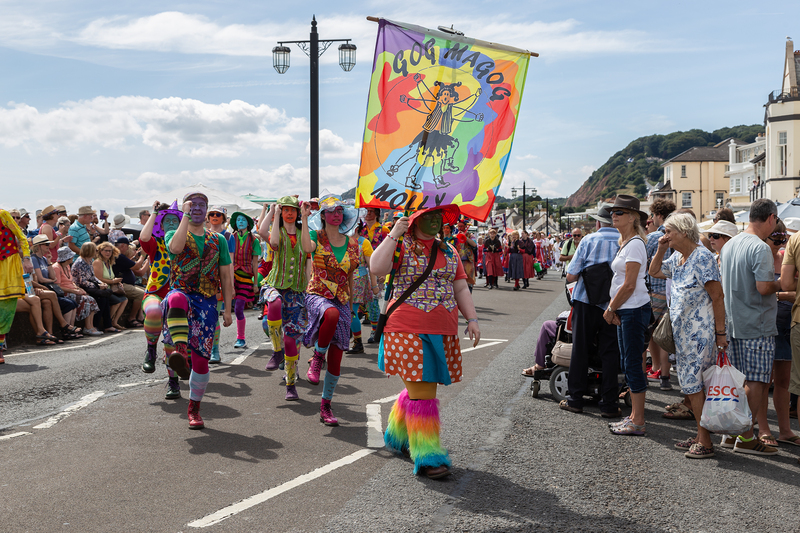 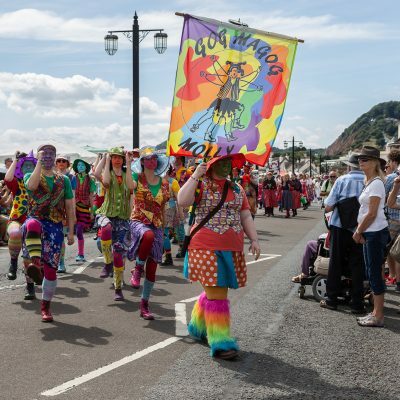 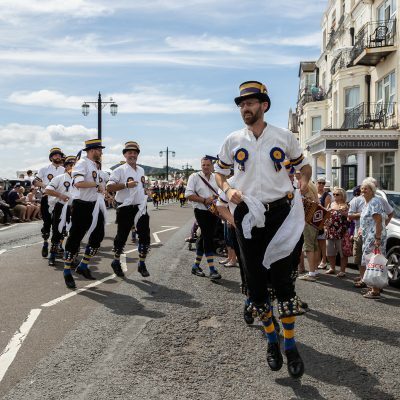 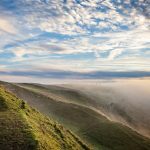 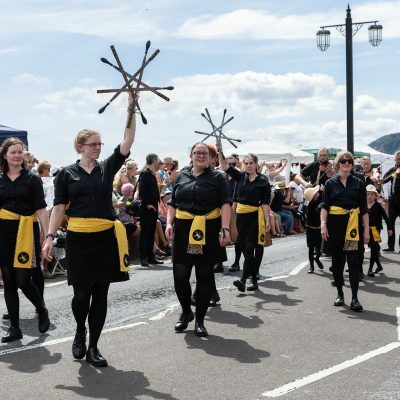 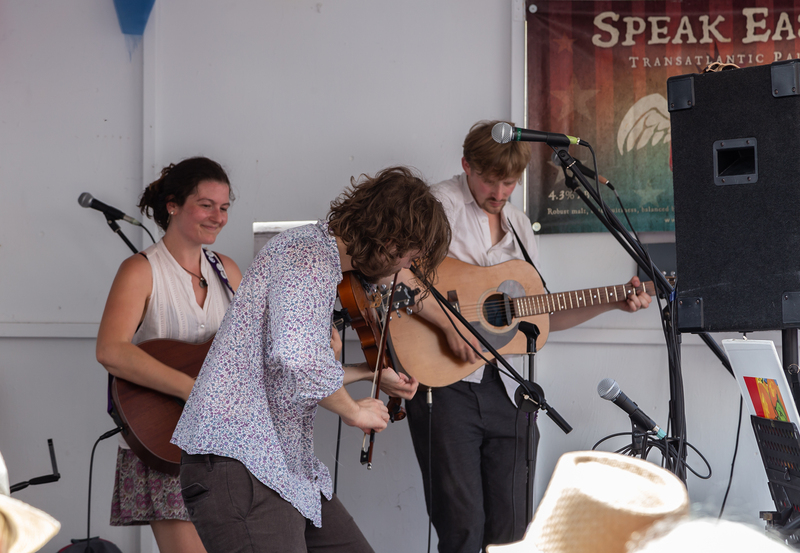 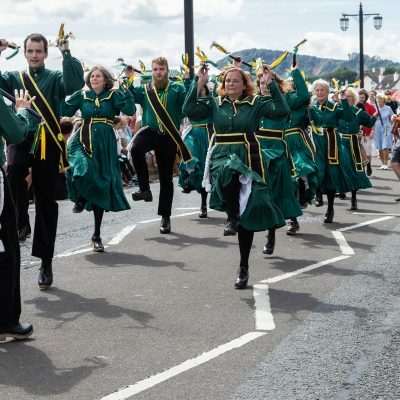 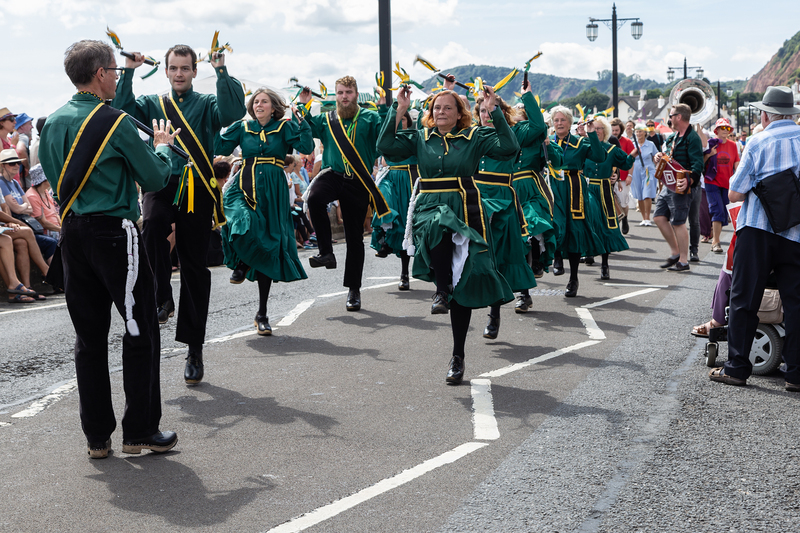 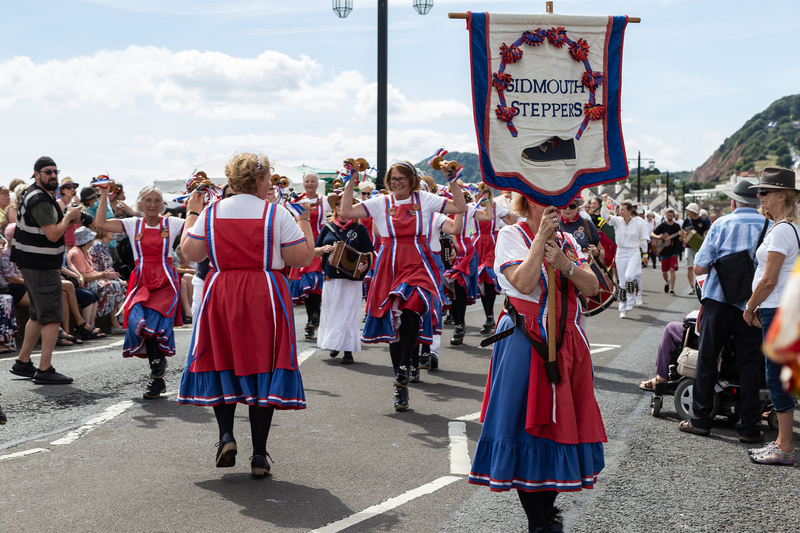 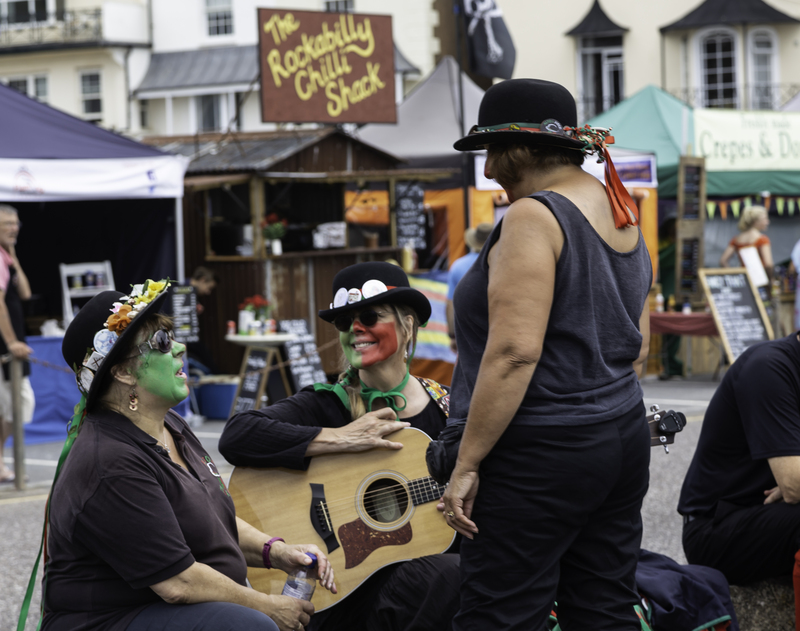 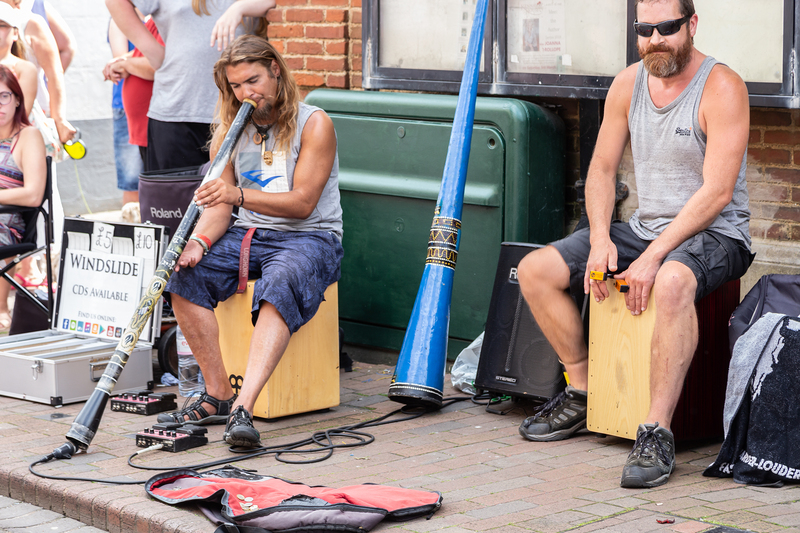 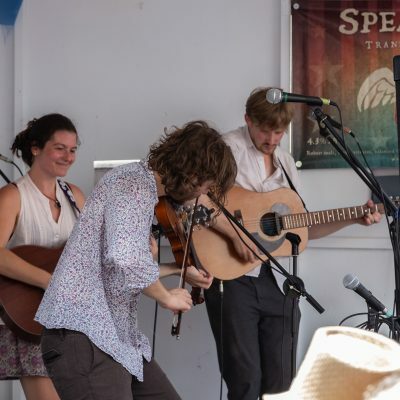 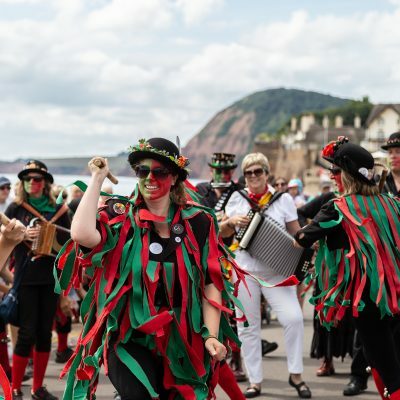 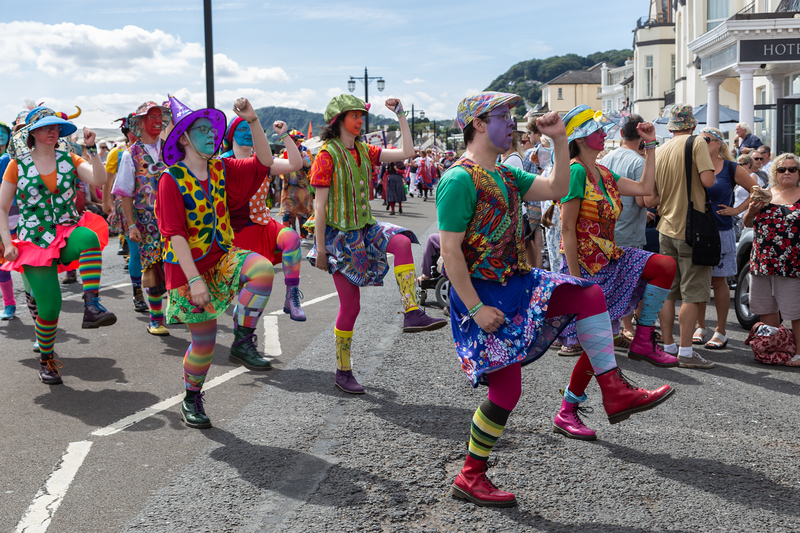 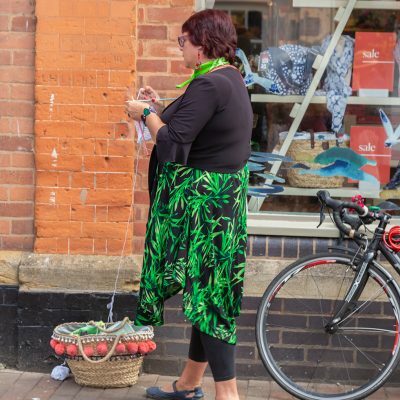 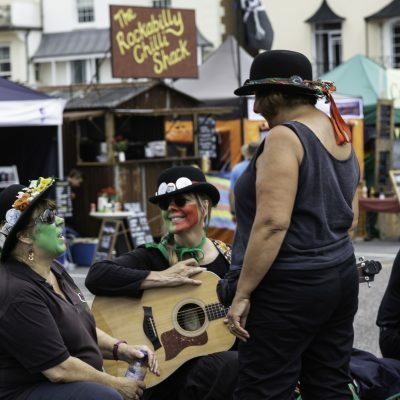 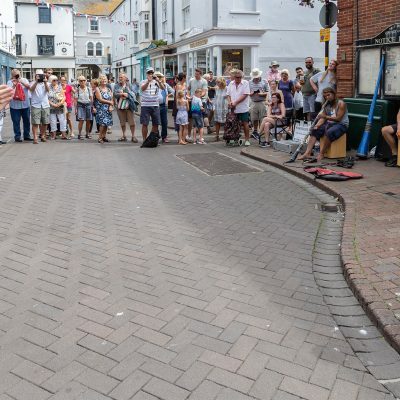 My first visit to Sidmouth Folk festival in Devon in August 2018. 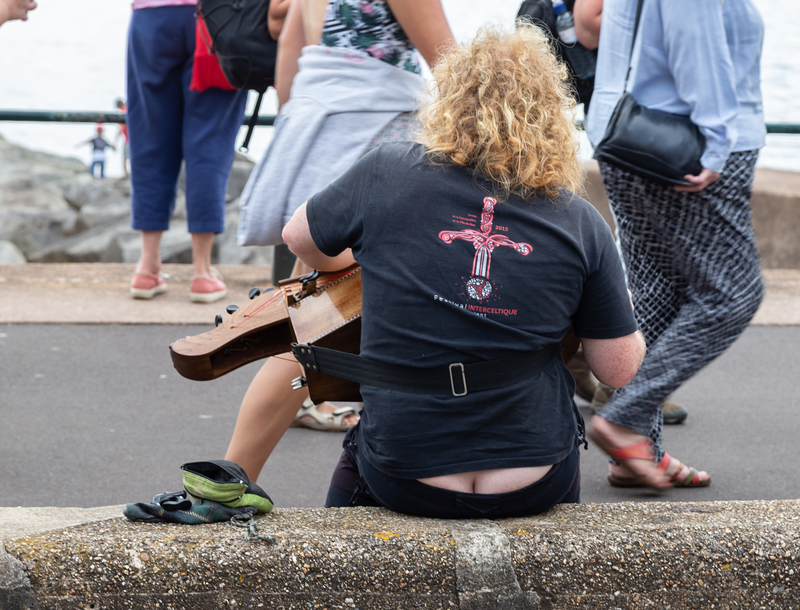 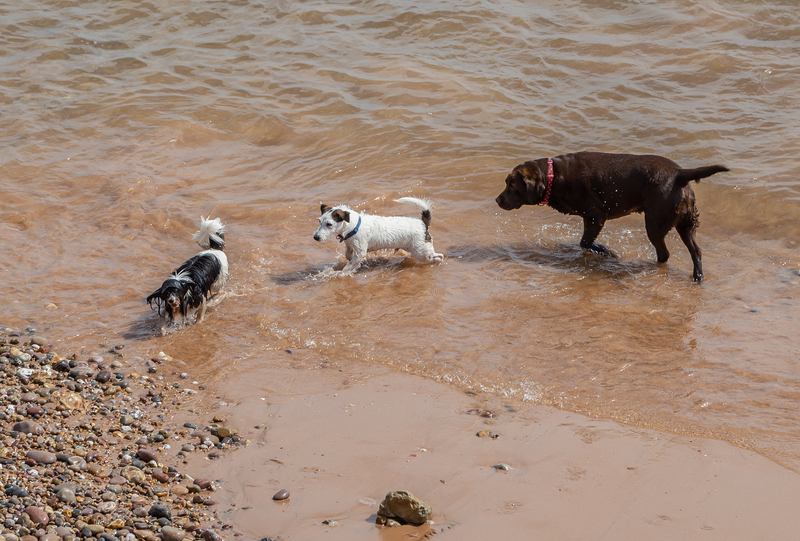 So many photographic opportunities around every corner. 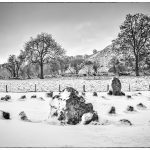 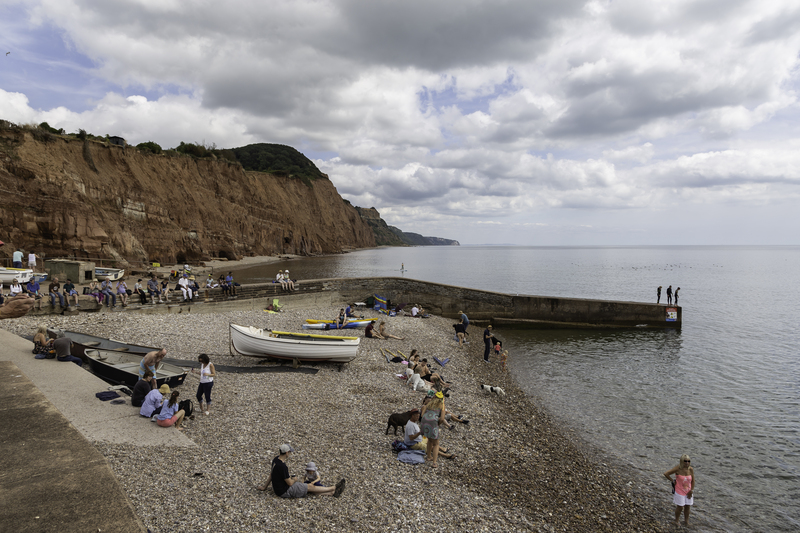 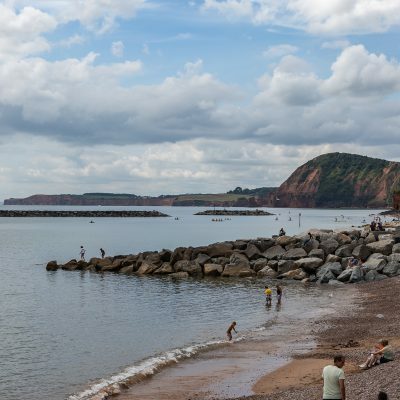 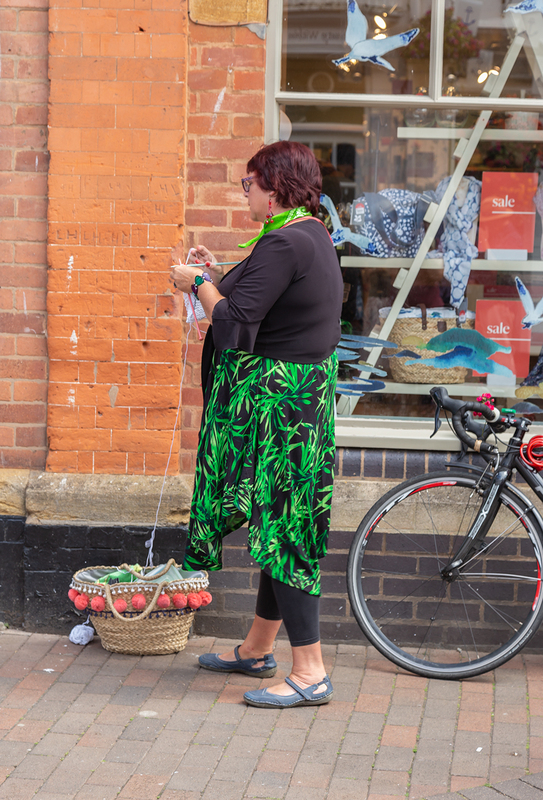 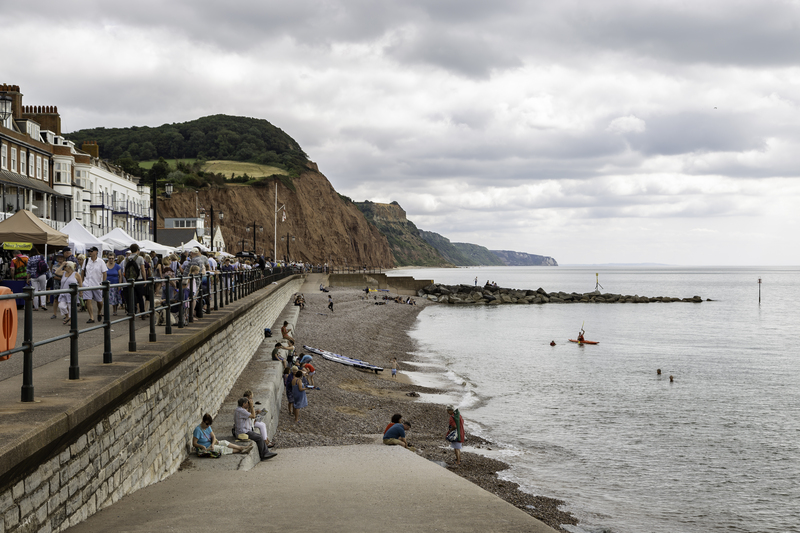 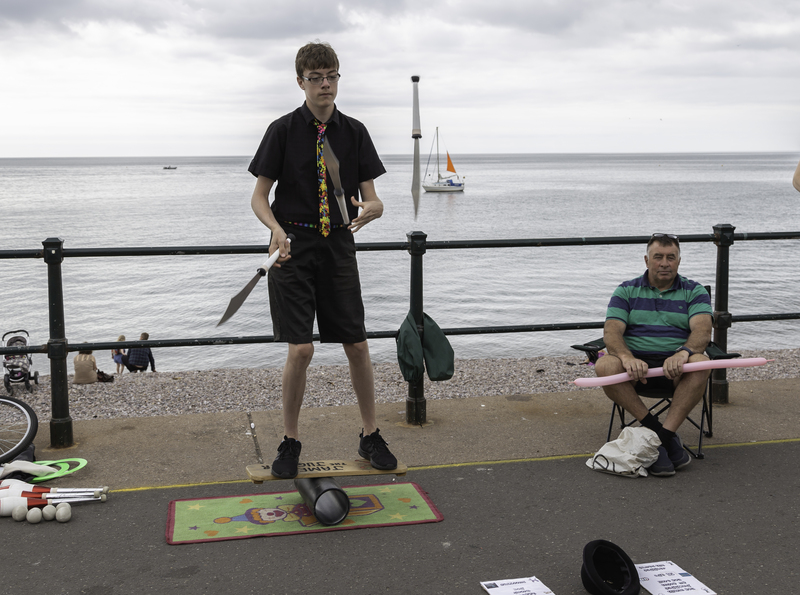 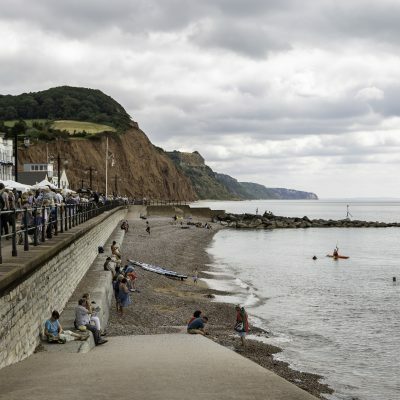 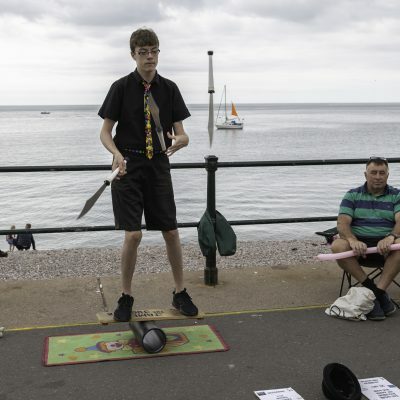 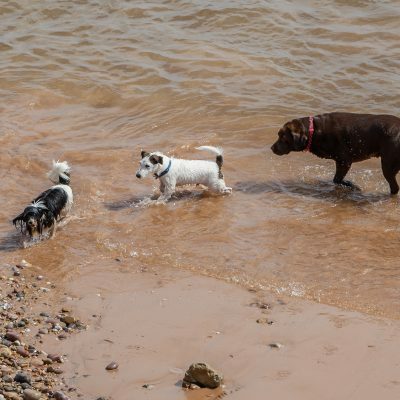 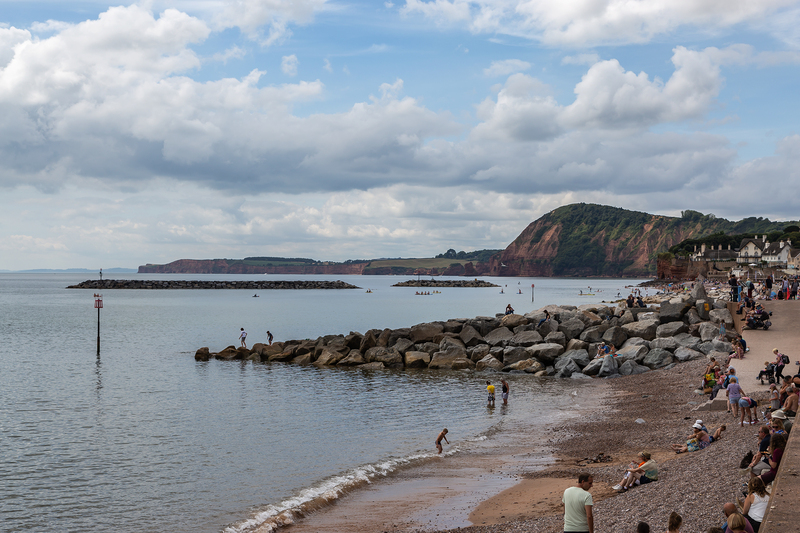 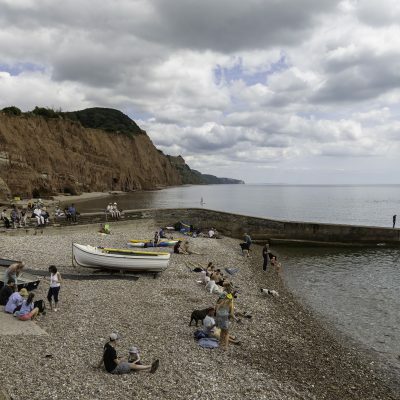 The day was very hot and a friend and I went on a coach trip that took us to Sidmouth seafront and we spent a lovely couple of hours looking around along the seafront and through the town. 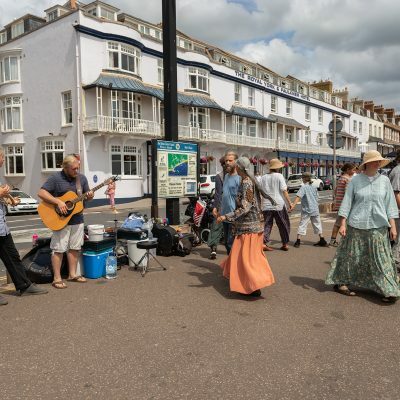 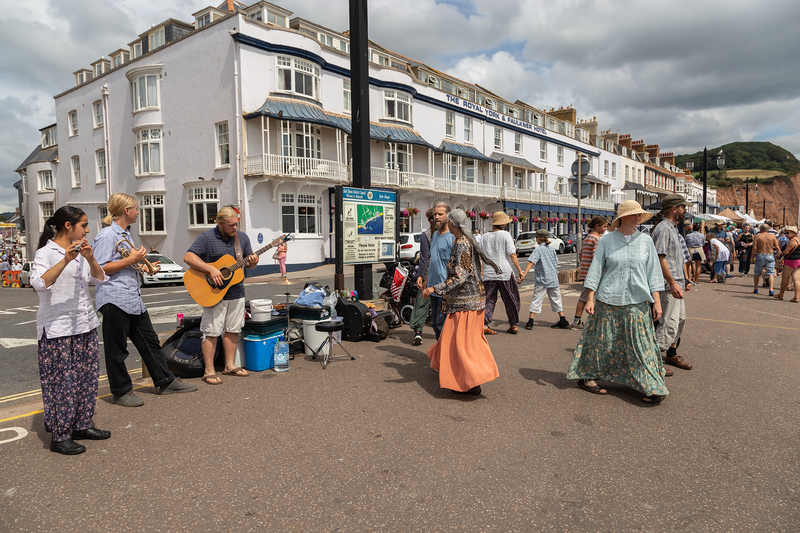 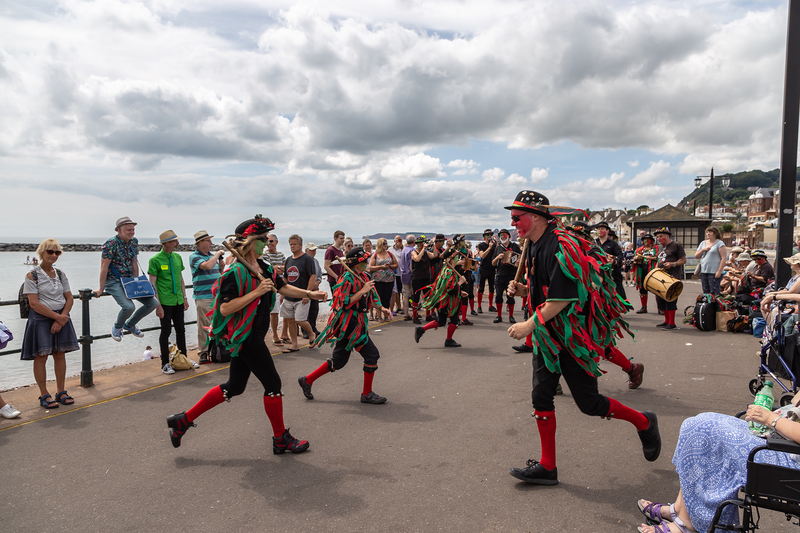 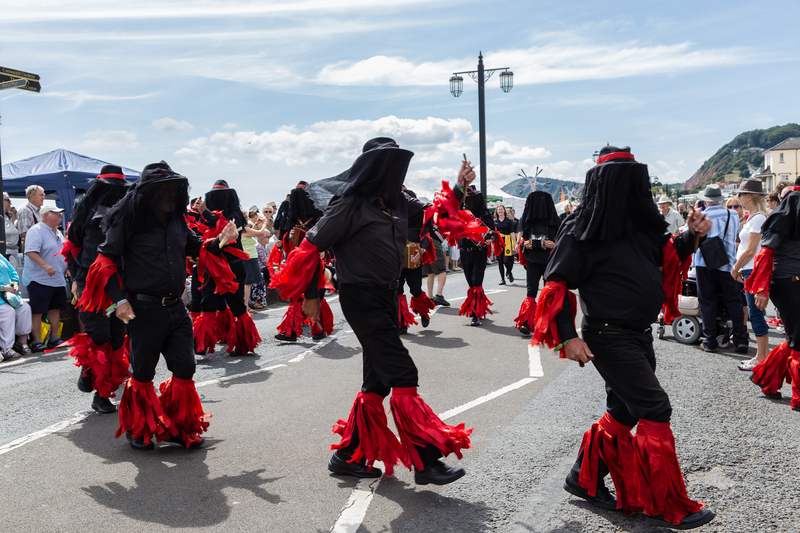 The seafront was filled with small craft stalls interspersed with various folk musicians and dancers. 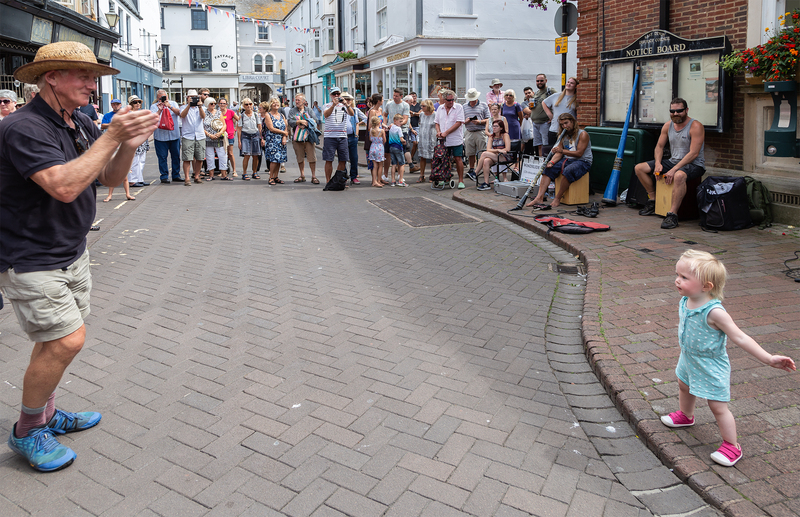 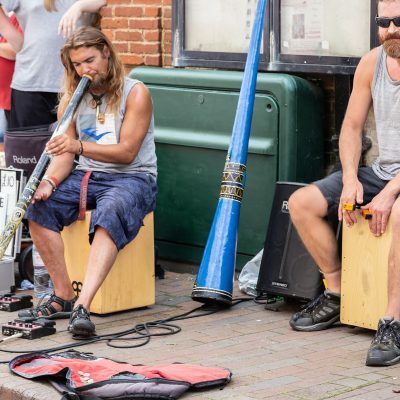 Then all through the town’s streets a musician, dancer or entertainer round every corner. 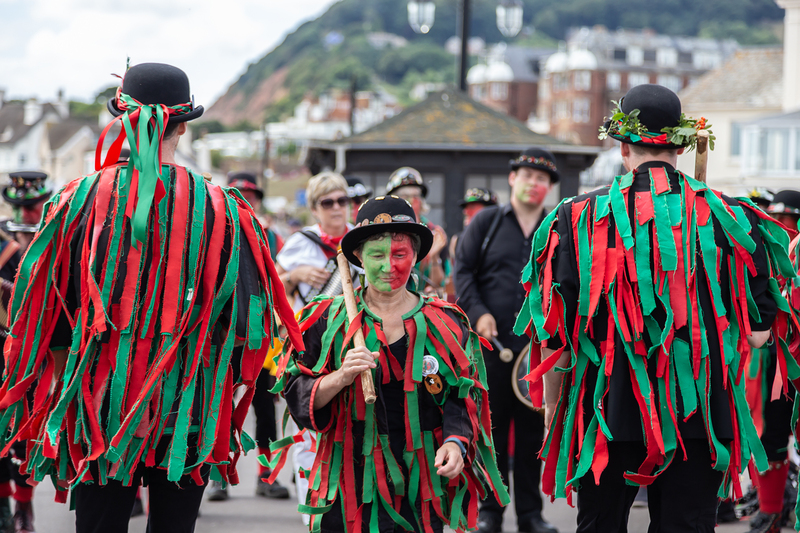 Just before we were about to leave we saw the parade of all the dancers and musicians an eclectic bunch of people!